The 907 was the last Porsche where the design was overseen by F.A. Porsche. The following racing models 908, 909 and 917 were the brainchilds of F.A.’s cousin, Ferdinand Piëch. 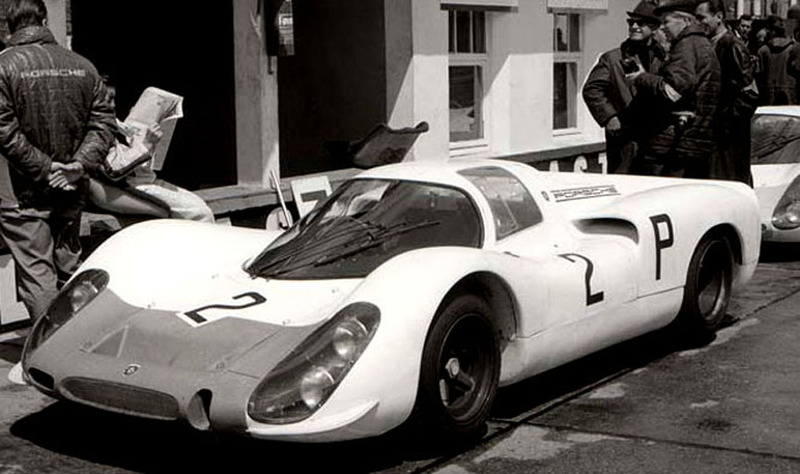 The 908 introduced in 1968 was the first Porsche to be engineered to use the maximum allowed 3-litre engine size. In 1980 Le Mans 24 hour race Joest Racing entered a car which it signed up as 908/80, but it really was a 936. Two 914 prototypes with 3-litre 8-cylinder 908 engines were made in 1969, one for the head of development Ferdinand Piëch and the other for Ferry Porsche.